Plenty of lawmakers are siding with the oil industry in response to Denton's vote to ban fracking inside city limits. What's surprising this session is how few are weighing in for local control. As policy dilemmas go, the one triggered when Denton voters decided last fall to ban hydraulic fracturing in their city looked like a whopper: The oil and gas industry versus local control — two things Texas holds dear — in intractable opposition. There seemed little doubt lawmakers would weigh in upon their return to Austin. But four months after the North Texas city’s historic vote, top state lawmakers don’t appear to be scratching their heads. Petroleum is winning hands down, and local control appears headed for a beating. Several legislative proposals so far leave less wiggle room for Texas cities to regulate oil and gas production. Texas lawmakers this session have filed at least 11 bills that would discourage local governments from enacting or amending certain drilling rules. Meanwhile, those watching legislation on the issue say they haven’t noticed one proposal to bolster – or even support – local control on petroleum development. “We didn’t expect these to be just completely one-sided," said Bennett Sandlin, executive director of the Texas Municipal League. “Instead, they’re swinging for the fences, and it’s quite alarming." The trend is part of a broader debate — touching on issues including plastic bag bans and sanctuary cities — that some Republicans have sought to reframe as a debate about the size of government. One of King’s bills would require cities to get the attorney general's blessing before enacting or repealing any ordinance by voter initiative or referendum, the tool Denton activists used to push that city's fracking ban. Another would require cities that tighten drilling regulations to reimburse the state for any lost tax revenue. 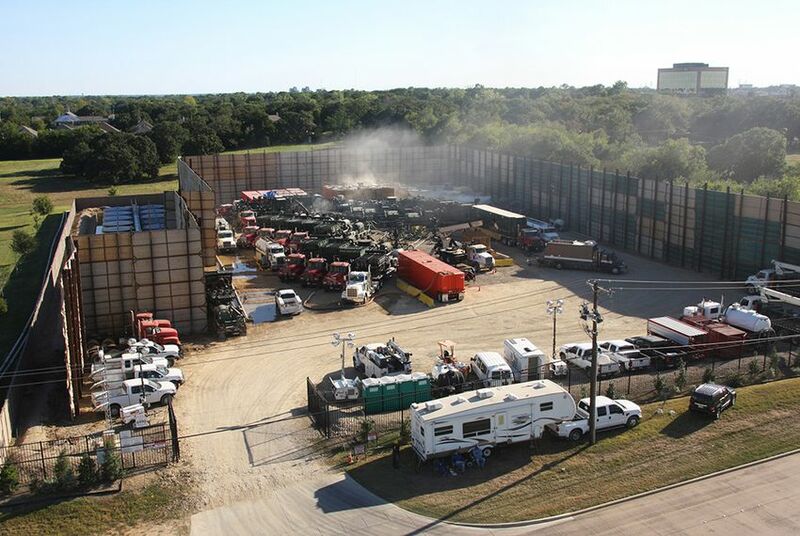 Other bills have addressed compensation for mineral rights owners harmed by a local ordinance, while legislation from state Sen. Konni Burton, R-Colleyville, gets right to the point of the Denton debate: It would ban fracking bans. Those cities have long sought to regulate noise and to control the location of wells or related sites like compressor stations. Where fracking falls on that spectrum is unclear. Darby said his legislation, backed by the Texas Oil and Gas Association, seeks to add clarity on the matter. “We’re establishing legislative intent that there should be a test to view these ordinances," he said in an interview. But critics and some legal experts say the language as is would only add to the confusion, with the potential to take away tools cities have long used to police health and safety. That could include enacting setbacks – buffer zones between wells and homes or businesses – that operators do not consider "commercially reasonable." “That is a total wildcard for a city to have to satisfy,” said Jim Bradbury, a Fort Worth-based lawyer who focuses on environmental and energy issues. As written, Darby's bill might even retroactively strike down drilling ordinances across Texas, Bradbury added, because it says cities may not “enact or enforce” certain measures. Cathy McMullen, who led Denton’s push against fracking, said she was “absolutely shocked,” by the language – particularly because she had recently attended a meeting in Darby’s office, where she initially felt he was responsive to her concerns. “It was like we drove to Austin and didn’t have our voice heard,” she said. Darby said he does not intend to keep cities from using setbacks or tampering with ordinances already on the books. Disclosure: The Texas Municipal League is a corporate sponsor of The Texas Tribune. A complete list of Tribune donors and sponsors can be viewed here.